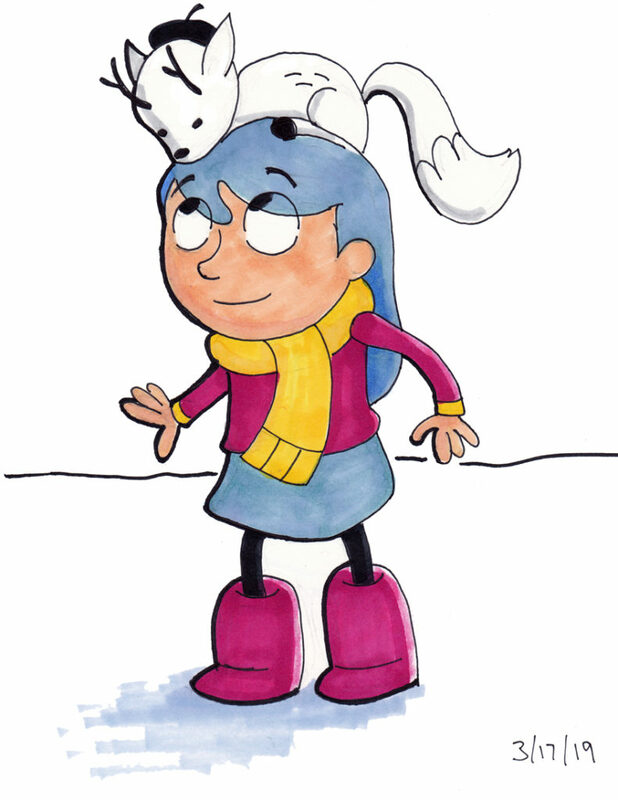 Have the two lil Hooses read all of the Hilda books? I wondered that last gift giving season. I like the watercolor. The penguin looks like Andy Rooney turned into Woody from Toy Story… he’d complain about how the snakes in today’s boots aren’t as good as the snakes used to be. 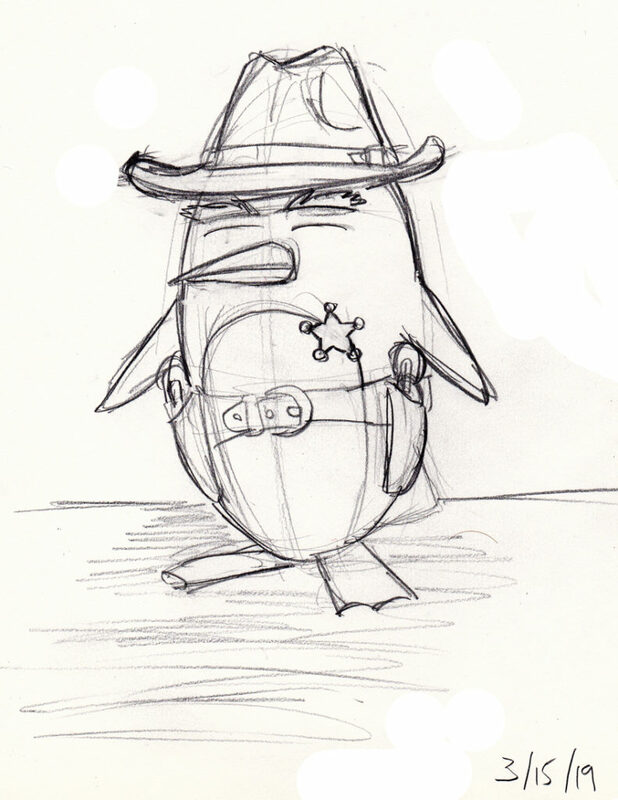 As for Sheriff Penguin. It’s not his first rodeo.